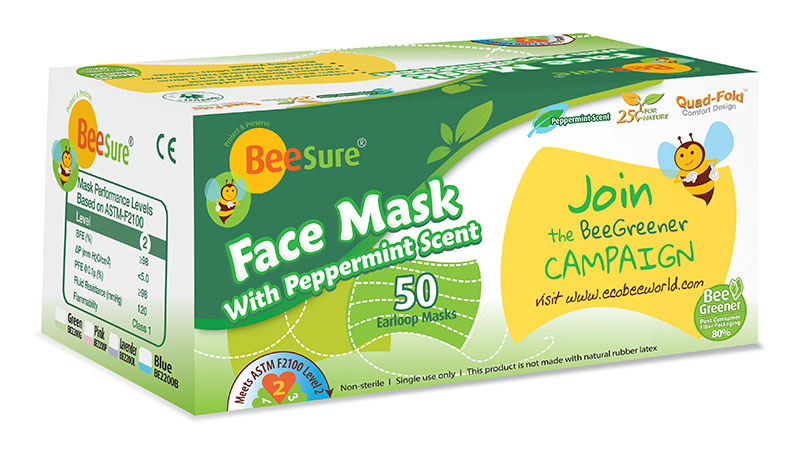 BeeSure face masks come in a style with a light peppermint scent for a refreshing wearing experience. Dye-free, chemical-free and soft comfort cellulose inner layer. 100% latex-free and fiberglass-free filter layers. Provides a secure protection with particle filtration efficiency that is greater than 98%. These masks are one of the best the office has tried. No sensitivity to the skin.Love them.